Viviane Forest is a Triple Gold Medal Paralympian of 2000, 2004 and 2010. 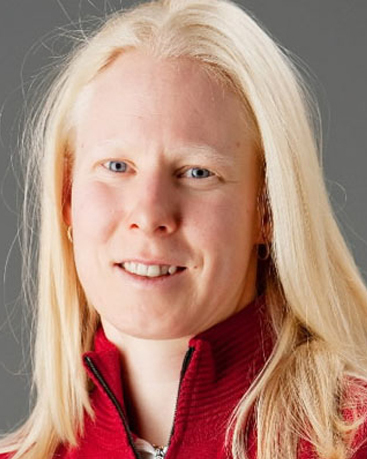 Viviane is one of Canada’s most decorated Paralympic athletes. After a nine year career as a member of the national Goalball team, she now competes for Canada in Para-Alpine skiing. She has seven Paralympic medals from three different Paralympic Games. Viviane was born in Montréal, Quebec but now calls Edmonton, Alberta home. She has been in competitive sports since the age of four. Viviane played hockey and ringette, participated in karate, judo, track and field, cycling and provincial level swimming. The one thing that differentiates Viviane from other athletes is that she has only 4% of normal vision. Yet she excels at the highest possible levels. Viviane races down the ski slopes, with her guide, at speeds over 100 km/hr. They use a two-way radio system, trust and confidence to prevail on the slopes of the world. At the Vancouver 2010 Paralympic Winter Games, Viviane won medals in all five alpine race disciplines: a Gold in the prestigious Downhill, three Silvers in Super-G, Slalom and Super Combined and a Bronze in Giant Slalom. With two Paralympic gold medals won in Goalball at the Sydney 2000 and the Athens 2004 Paralympic Summer Games, Viviane has become one of a few female high performance athletes in the world to win gold medals in both summer and winter Paralympic or Olympic Games. • Alpine Canada TELUS Award of Excellence Breakthrough Athlete of the Year. In addition to her sport accomplishments, Viviane is recognized by the community as a leader and role model. She is the recipient of the Edmonton’s Salute to Excellence (October 2010), and The Global Woman of Vision (May 2010). Viviane’s story is stunning and captivating. Her recent five medal podium finish at the Vancouver 2010 Paralympic Games had her collecting over 25% of Canada’s medals while injured. Her tenacious determination and commitment to her dreams create a humorous and intense story, sure to inspire.